Tired of feeling “out of the loop?” Are you ready to feel connected like never before? Workplace is here to help. Klein ISD is officially adopting Workplace as a new FREE tool for internal communications. We are so excited to adopt Workplace as a new tool for internal communications in Klein ISD. Workplace is an easy-to-use collaboration platform built to break down silos. With Workplace, we can discuss projects, share organization-wide updates, and instantly communicate with colleagues from across the district. Best of all…we can reduce the number of emails we all get! Click here to claim your FREE account today! Log in with your Klein ISD email and password. Why do we need Workplace? Workplace makes it easier to communicate with colleagues via chat, groups, and posts. It connects everyone in our district and is easy to use on the go via your mobile device. It requires very little training. If you’ve ever had a Facebook account, then you will know how to use Workplace! According to a teacher survey conducted as part of the August 2017 Communications Audit, staff members feel disconnected from what’s happening across the district. Especially when it comes to campus to campus communication and communication from the district office. This is the problem Workplace is meant to solve. How much does Workplace cost the district? Zilch. Nada. Nothing. Zero. $0. This amazing communication tool is absolutely FREE to Klein ISD as an educational institution! Click Here for more information about the Workplace for Good Program. Is Workplace secure? Is it connected to my personal Facebook? Your Workplace account is separate from your personal Facebook account. There is no link between the two accounts, and you have full control over what you share on each account. What tools does Workplace replace? Groups allow you to post updates to all of your colleagues quickly and easily. It will allow us to enhance cross-team collaboration, provide a place to provide feedback, and speed up decision making. Join the groups that are most important to your team or your role to ensure you are always up to date. 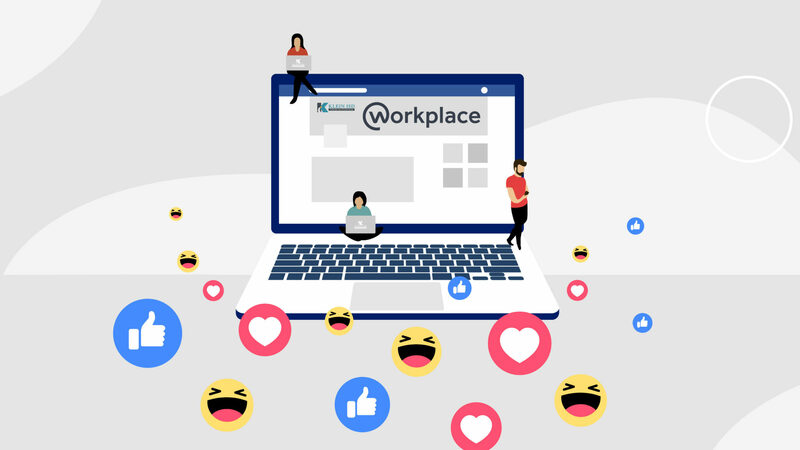 The Workplace News Feed gathers conversations from all your groups so that you’ll never miss an update or comments from your closest co-workers. Work Chat allows you to have 1-1 text and video conversations and conversations with larger groups of people. If you have additional questions about Workplace, please email workplace@kleinisd.net or visit https://knet.kleinisd.net/workplace. If you have general questions about Workplace then visit the quick help section on the top right of the Workplace taskbar.